Not being a mental health professional myself, I sought the help of an expert in answering this question. Here’s Dr. Emma Basch’s excellent, practical advice to take stock of whether you need more help. I’ve yet to meet the new (or seasoned) mom who doesn’t struggle with feeling overwhelmed and anxious. Parenting, and particularly parenting a baby, requires an enormous amount of mental and physical effort. There are the logistical challenges of making sure everyone is fed, clothed, and bathed. And that everyone gets to where they need to be on time. There are intense physical demands such as healing a postpartum body, nursing, and getting very little sleep. And of course, there are significant emotional challenges. Adjusting to the significant shift in identity (great piece on this here,) struggling with the very real problem of mommy guilt, and managing the emotional labor of a family can take a real toll on one’s emotional wellbeing. It’s no wonder many moms feel anxious. The question of whether this anxiety is “normal”, or requires some professional assistance is a great one. However, I think before answering it, we need to talk about the concept of “normal.” There are a lot of things we think of as “normal” in the postpartum world. Physical aches and pain, moodiness, trouble nursing – these are all common and “normal” experiences. Just because they are typical and expected, though, doesn’t mean we should accept them. For example, many women are told that a weak pelvic floor is “normal” postpartum, and indeed, it is common. Yet, there are several amazing treatment options to strengthen and correct pelvic dysfunction that women don’t know about or don’t consider. Because they believe that because their problem is “normal,” they believe they don’t deserve to get help. That said, approximately 10% of postpartum women will develop a clinical anxiety disorder. Symptoms of a postpartum anxiety disorder could include constant worry or fear that something bad will happen, racing thoughts, inability to sit still, jitteriness, or a sense of dread. Some women will develop postpartum panic disorders, which involve recurring panic attacks, or postpartum obsessive-compulsive disorders which involve intrusive thoughts and compulsive compensatory behaviors. If you or a family member have a history of anxiety, you are at higher risk of developing postpartum anxiety. It’s worth noting that you can experience symptoms of any of these disorders without having a diagnosis of a postpartum anxiety disorder. Are you stressed or are you anxious? Although we use the words interchangeably, there is a difference. Stress generally refers to a response to external situations and is usually resolved when the stressor goes away. Anxiety is more persistent, is often vague in content and is associated with worries about the future or the past. Anxiety will linger even if stressors are removed. The reason this distinction is important is that if the problem is more related to stress, you may be able to relieve the feeling by tackling specific triggers and challenges. For example, a new mom I worked with was having intense stress about getting her family fed and out the door on time. Through a few simple strategies (e.g., making bottles and food the night before, laying out clothes, etc.) we could relieve the stress rather quickly. By contrast, a mom I worked with who was anxious found that she lay awake all night worrying about whether she’d have enough expressed milk to feed her daughter, despite having an enormous store of milk and access to formula. The anxiety was not really about the stressor she was fixated on, and persisted. How long have you been feeling this way and how often do you feel this way? Because we all experience anxiety at some point, it’s helpful to use duration as a marker. It’s very different to have a bad day here or there than it is to feel anxious most days. It may be helpful to track your anxiety for a week to see how often you are feeling anxious and how much of your day is eaten up by anxiety. If it feels that much of your time is spent worrying or feeling anxious, you may need extra support. What symptoms are you experiencing and how intense are they? There are certain anxiety symptoms that generally warrant professional help. For example, if your anxiety is interfering with your sleep, making it hard for you to eat, and/or making it difficult to take care of yourself, absolutely seek support. If you are having panic attacks or intense ruminative thoughts, professional help is generally recommended. Also, there are commonly experienced symptoms of anxiety such as somatic complaints or irritability that some people don’t recognize as indicators. So, if you find you are particularly short-tempered or are plagued by headaches or stomach distress, it could be anxiety. Are your usual coping strategies working and/or are you using them? For many new moms, self-care goes out the window quickly. It may be helpful to take stock of the activities or practices that helped you feel good in the past that perhaps you are no longer making time for. See what happens to your anxiety level if you return to your usual yoga class or make time to journal. If your typical assortment of coping strategies is no longer working for you, or if you find it’s too hard emotionally or logistically to engage in them, it may be helpful to connect with a therapist. 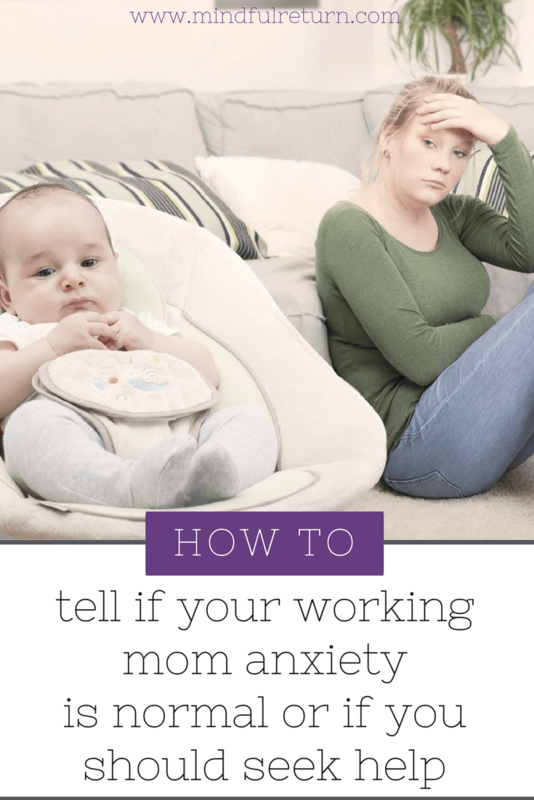 Whether your anxiety is at a “normal” level for moms, or you are concerned you have a postpartum anxiety disorder, there is NO NEED TO SUFFER SILENTLY! There are so many wonderful way to seek support – be it from a therapist, a support group, or even an online forum. A good therapist will do a thorough assessment and work with you to come up with a plan of action which may include therapy, referrals to community resources, or provide ideas about coping strategies for you to use on your own. There is no need to wait until you feel “bad enough” to seek support. It’s far more effective to be proactive rather than reactive, if you have any concerns about anxiety. If you need a place to start, I highly recommend checking out Postpartum Support International (PSI) for great information and resources. If you are seeking professional help and you live in the DC area, we are especially lucky to have a great resource called the DMV PMH Resource Guide, which has vetted local referrals. Emma Basch is a licensed clinical psychologist with a specialty in women’s mental health, reproductive psychology, and the perinatal period. She maintains a private practice in Washington, DC where she works with individuals and groups around issues concerning perinatal mood and anxiety disorders, fertility, pregnancy loss, and adjustment to parenthood. 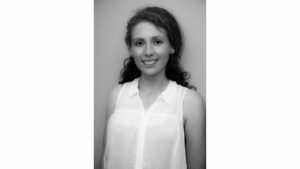 She also writes frequently on topics concerning reproductive health, offers trainings on the subject to allied professionals, and offers workshops around DC for pregnant and postpartum women. She has received training from the Postpartum Stress Center and Postpartum Support International. 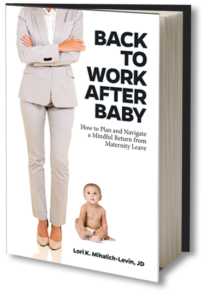 Are you a new working mama, heading back to work after baby? Get support by joining the next session of Mindful Return.